I like looking at old ads and these did not disappoint. Good luck with your magazine. Love your retro ads. They had limited use of color, but the artistry is fun to see. Guard against throat-scratch - don't smoke! Love these! Especially the Morton Salt one. Good luck on your A-Z! I will have to check out this magazine out. I am not sure how this works. The bears are adorable and I laughed at the haemorrhoids one :) I think the best way to avoid throat-scratch is to dump the ciggies altogether - lol. Beautiful vintage ads, very nostalgic! I enjoyed seeing them. Great ads. Don't remember them though. 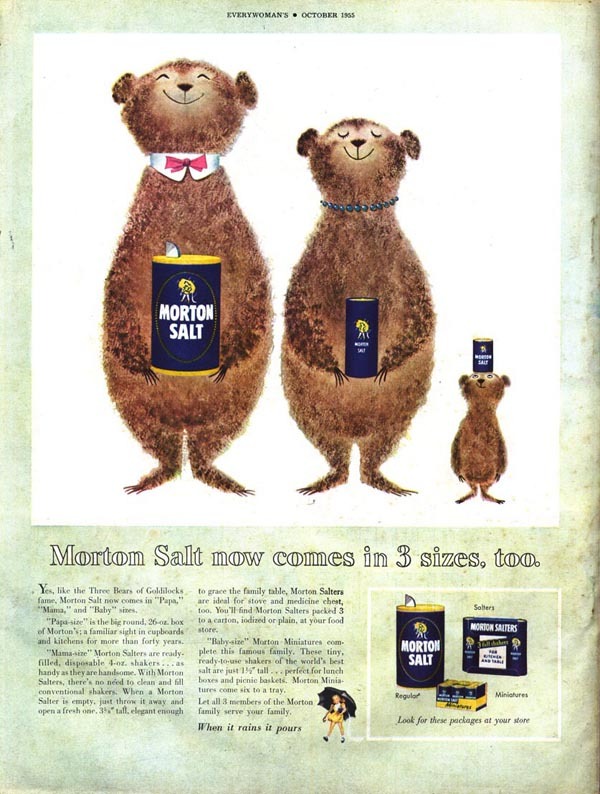 Love the throat scratch ad and my favourite is the Morton Salt. Love the vintage ads. I do remember some of them so I'm really showing my age. My how the world has changed. 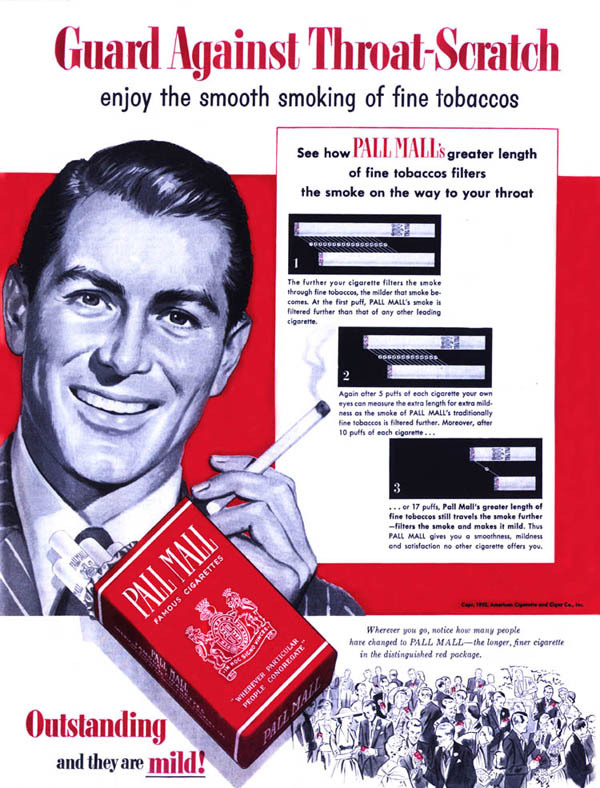 We once advertised smoking and people could actually smoke on airplanes. Do you remember that? Jeremy, thanks for hosting #AprilA2Z fun. I love the old ads! This year my theme is All Things Vintage. So perhaps my posts will interest you. Have a good weekend! Old ads are awesome. They could get away with so much more back then. 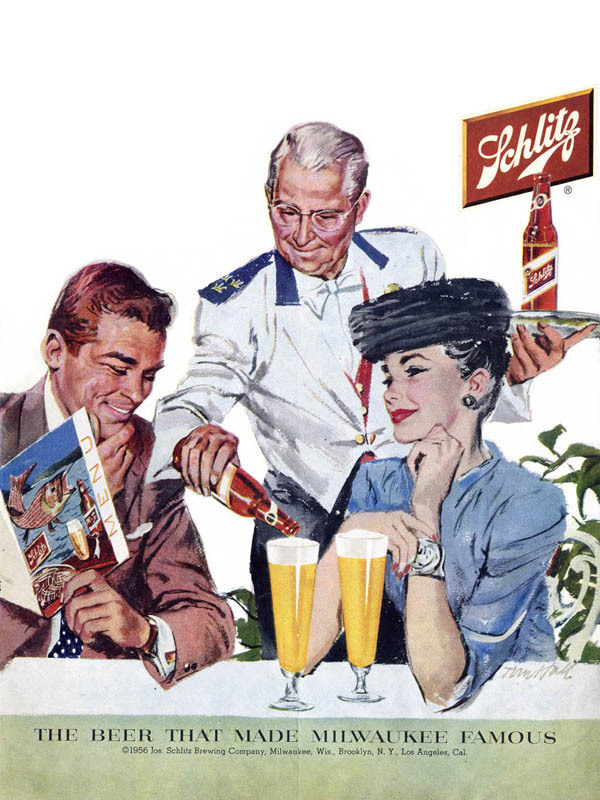 I remember my uncles drinking Schlitz beer. Is it still around? Ads are cultural digs, aren't they. So much is revealed in them about who we were and how we got where we are today. I'm in love with the 3 bears ad. Love these! Brings back memories and always fun looking at old magazines from the years we were born. 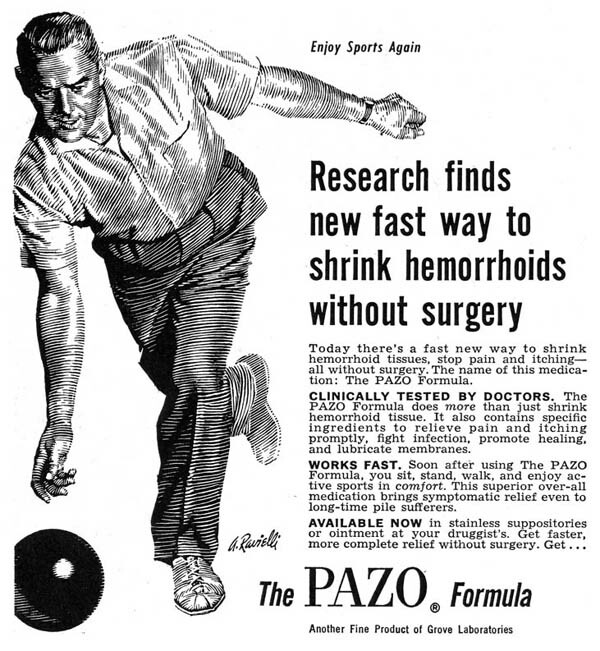 (for me 1959) The old ads are great time capsules. well we love beer and we live amongst the bears- so it's all good with us! Hamm's beer used a cartoon bear in their commercials. They used to advertise on baseball games in Chicago. Wait. What do bears have to do with salt? Very cool images. I owe you some composer interviews! Speaking of which, I think you'll like the theme this year--it's in collaboration with our Really Slow Motion friends!! New. Music. Every. Post. I love koala bears and panda bears! I love the old ads. Funny how much has changed. Worth a lot of money now!